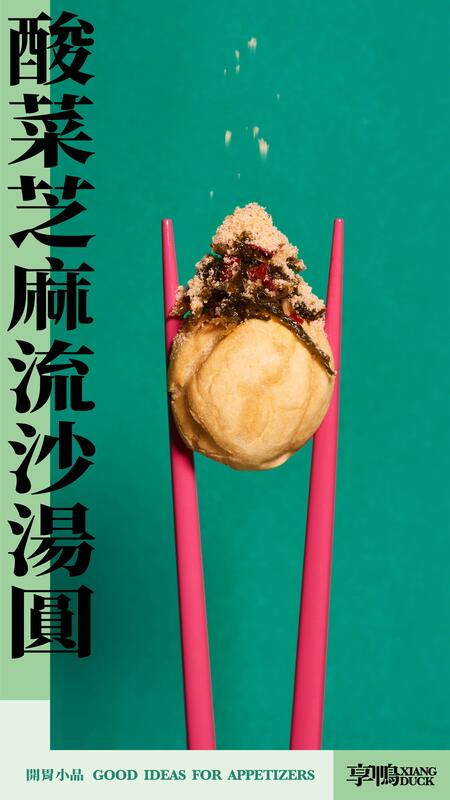 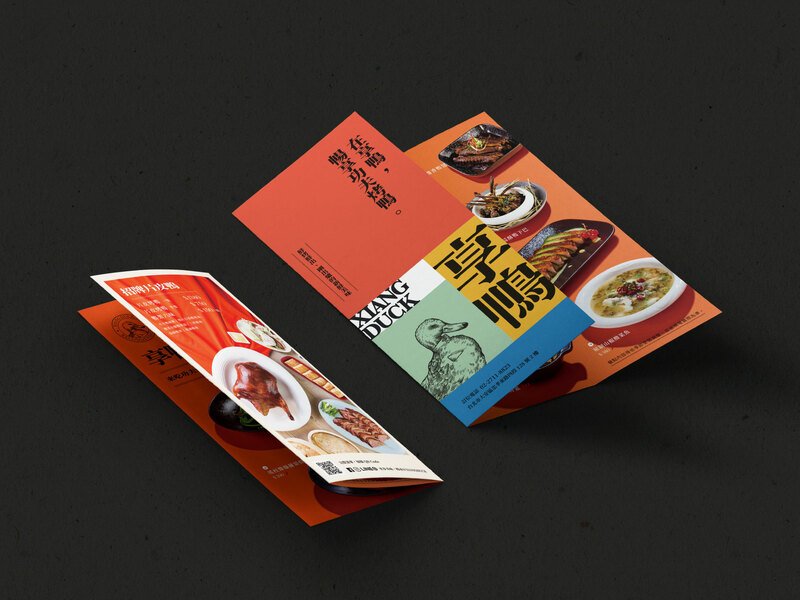 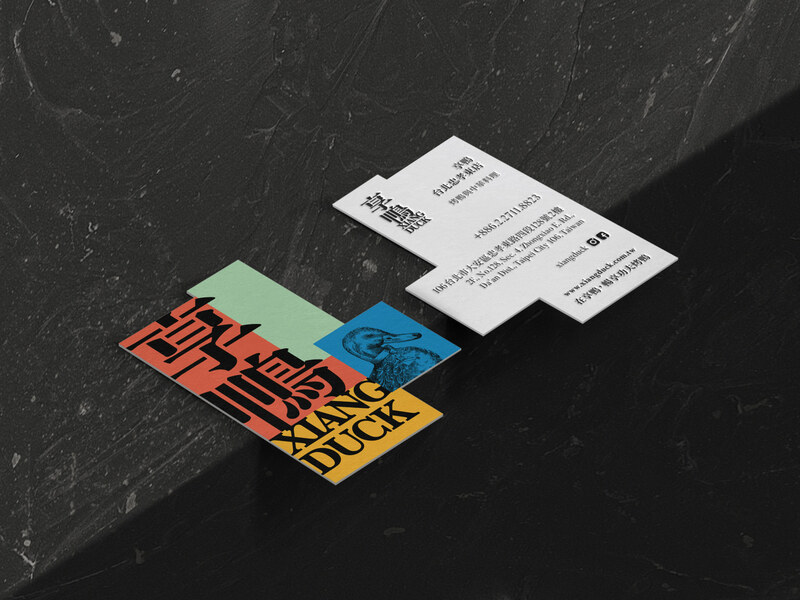 XIANG DUCK is an unconventional Taiwanese restaurant served with roast duck. 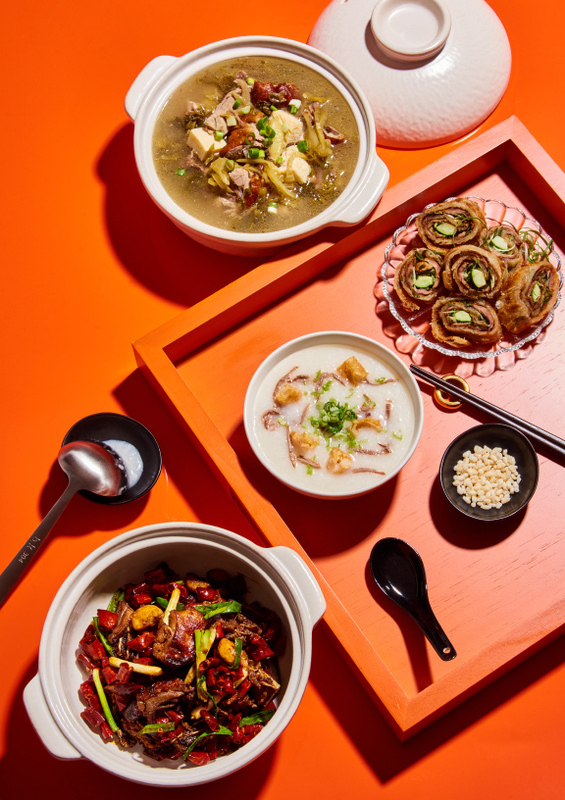 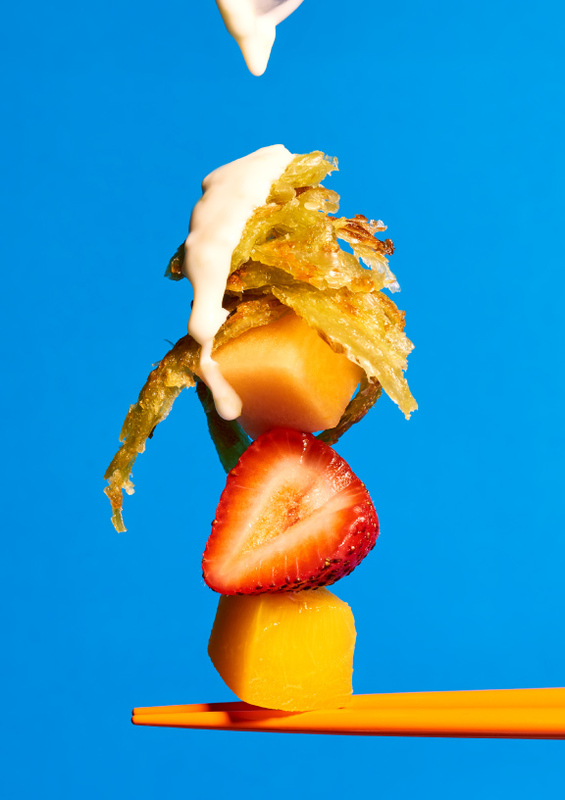 The brand creates a new oriental style of Foodism, taking the unconstrained modern Chinese dining experience as the main point, and aims to explore an extraordinary feast from lifestyle to table. 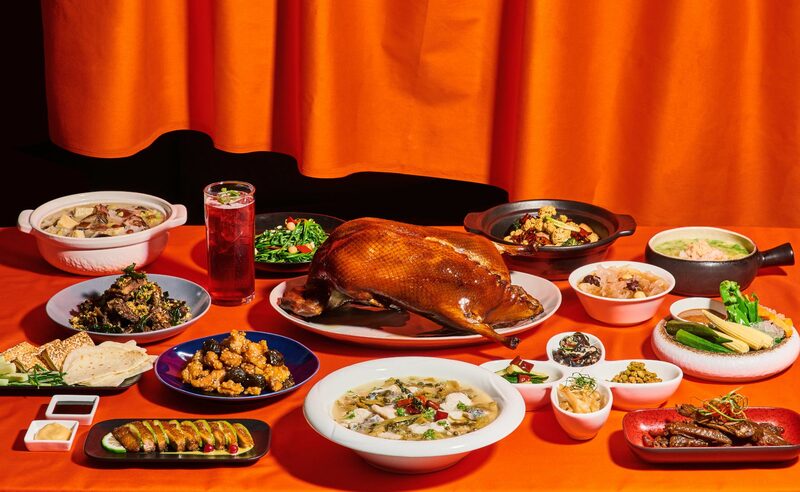 Covered with caramel brown skin, roast duck has a unique position in Asian culture. 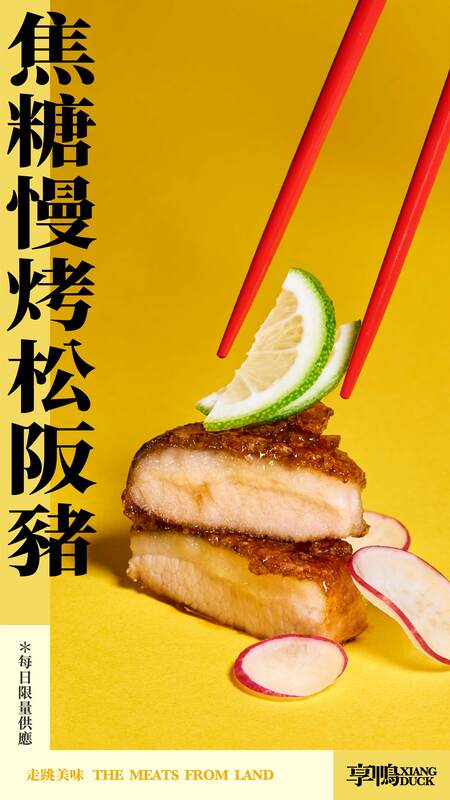 It is a nostalgic taste from childhood, a highly recognized flavor, only appear in the most important event or celebrating occasion. 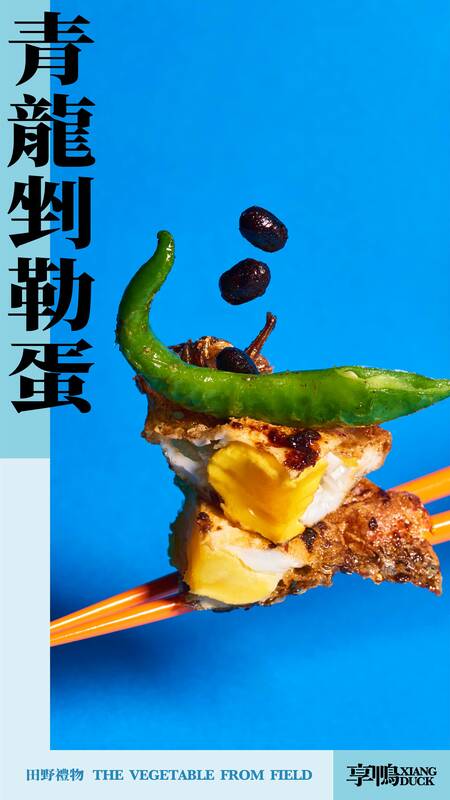 Once entering Taiwan street jungle, it would not be difficult to notice that various signboards among night lights, and which is the best scenery surrounded around dining table. 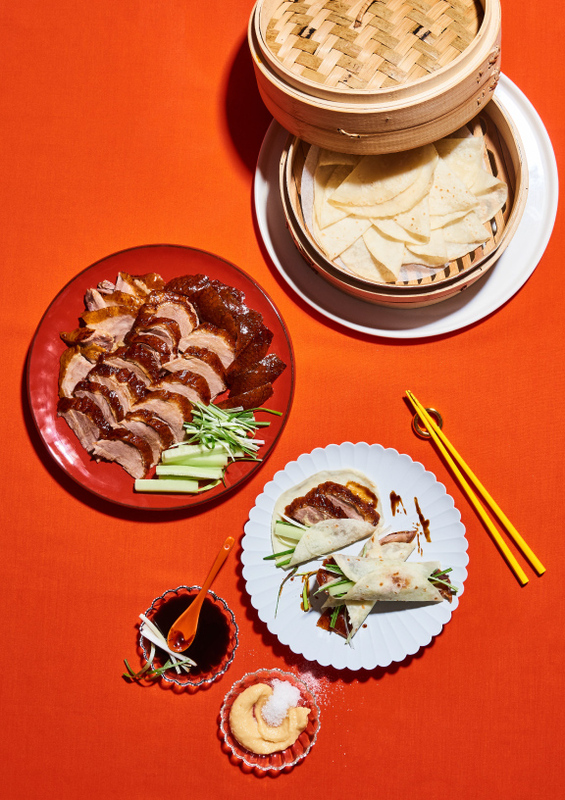 XIANG DUCK introduces a new trend of Chinese food, serving the most appetizing roast duck for visitors. 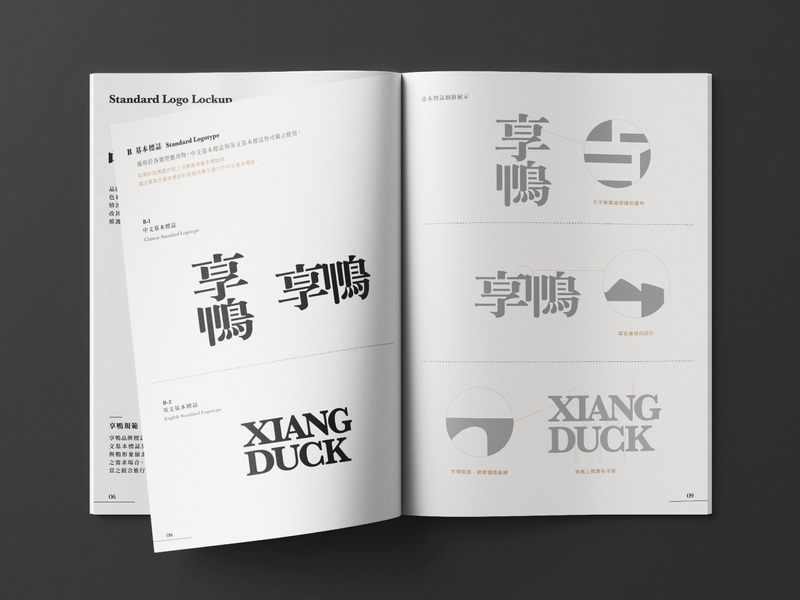 The idea of XIANG DUCK's combined-symbol logo is inspired from the Taiwanese culture of street signboards. 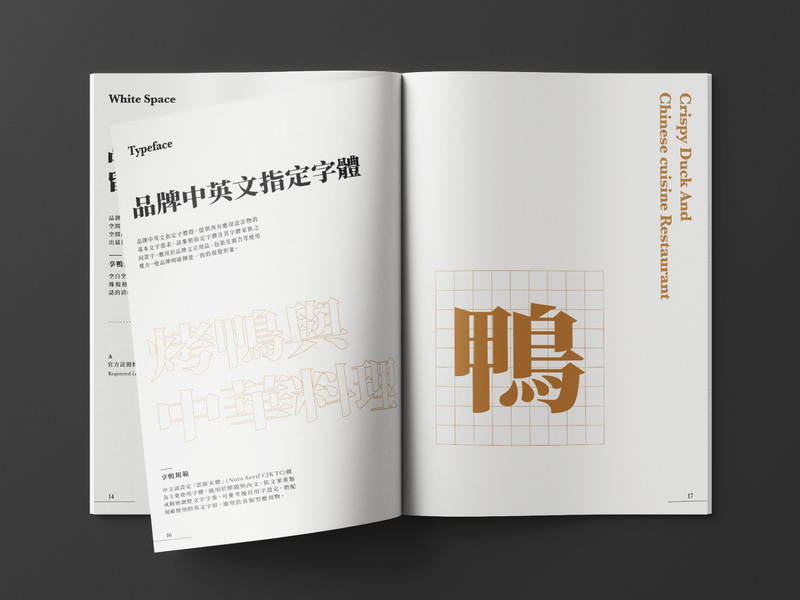 The different sizes and shapes of street blocks are stacked and condensed into the graph that representing Chinese characters, and showing a high chroma, colorful and diverse cultural characteristic. 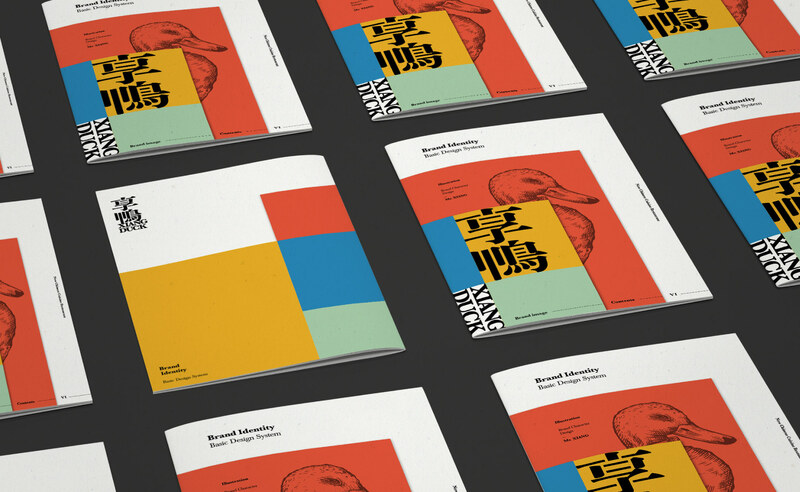 A variety of visual experiments were performed in the early stage of production, as the basis for the brand color palette. 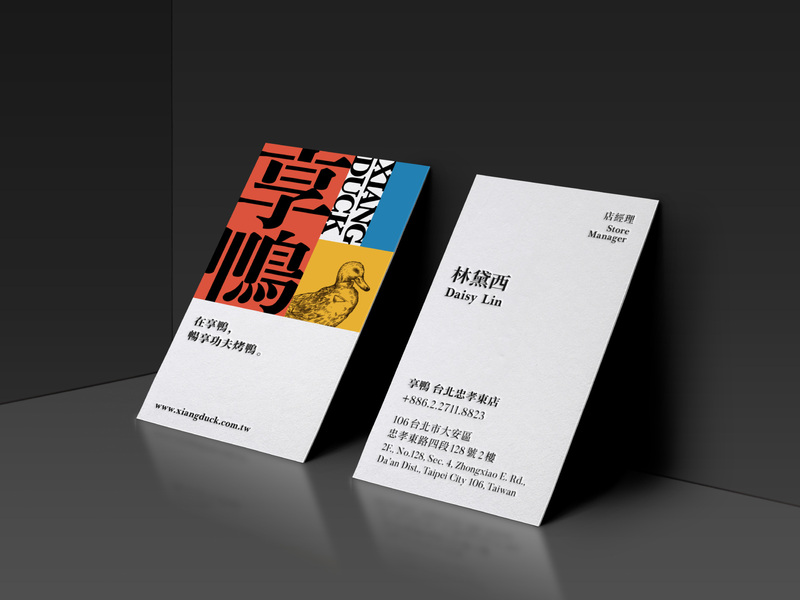 Takes the leaflet and bulletin board as experiment elements, then bluring the images and reduce the pixel value, extracting the four most representative colors. 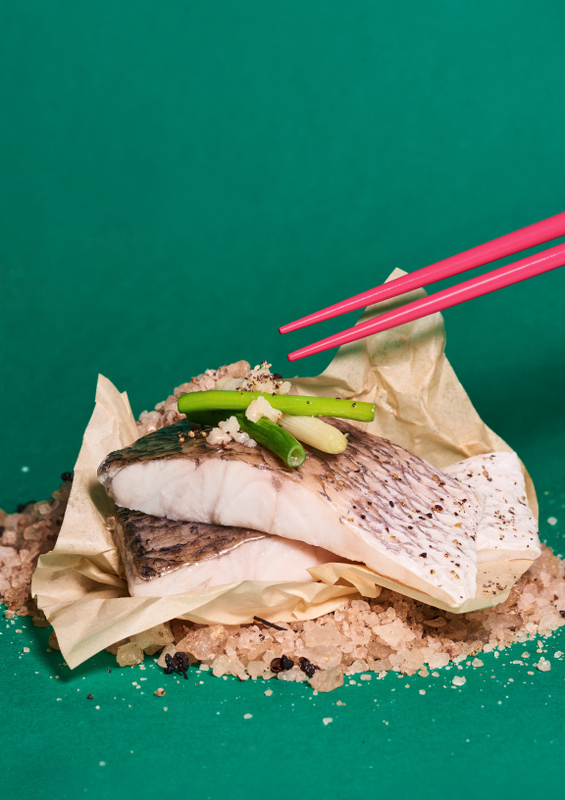 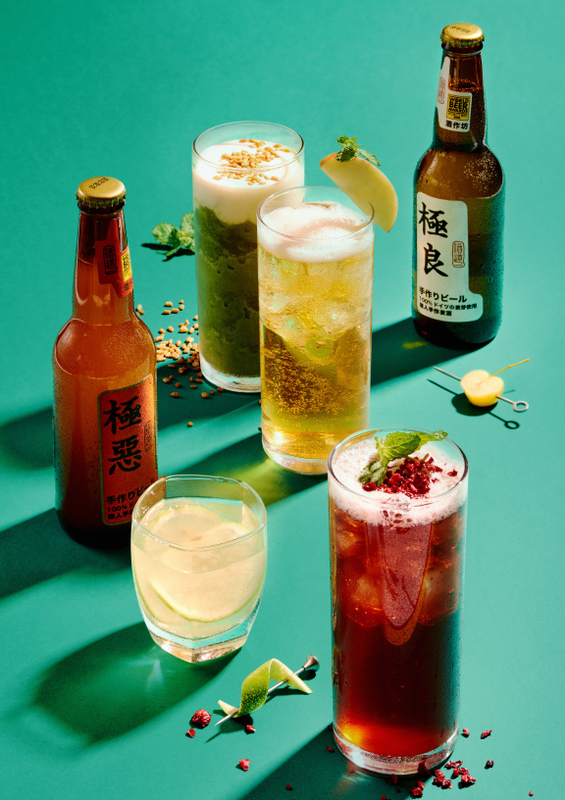 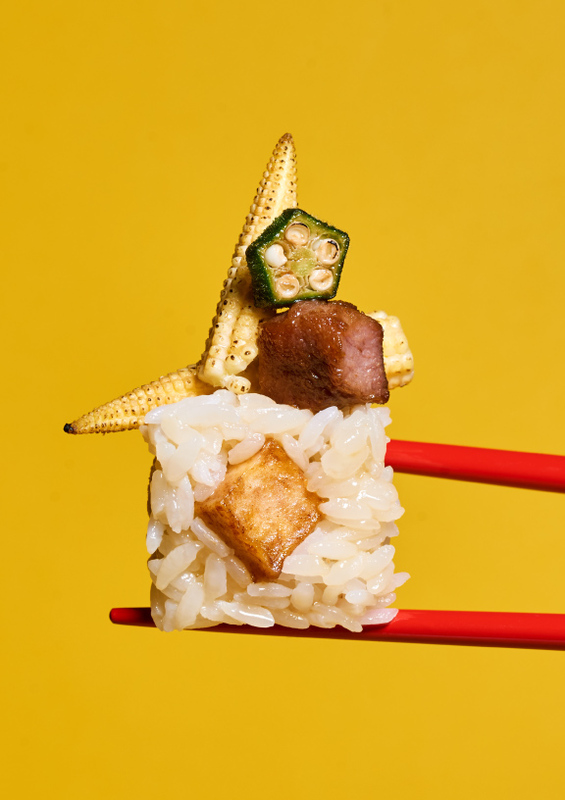 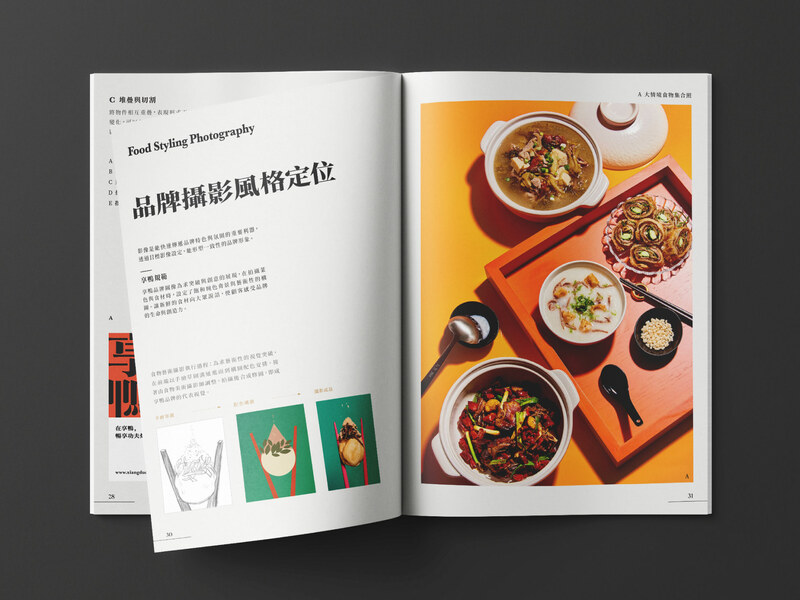 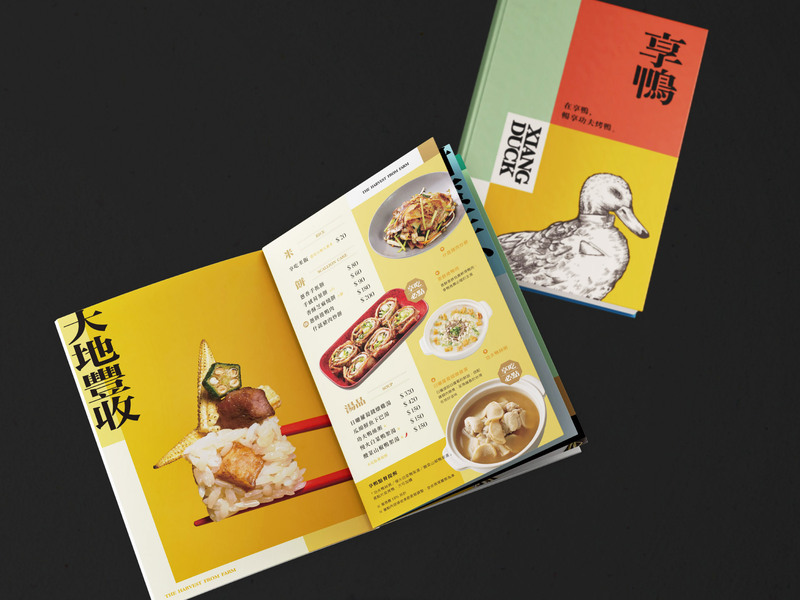 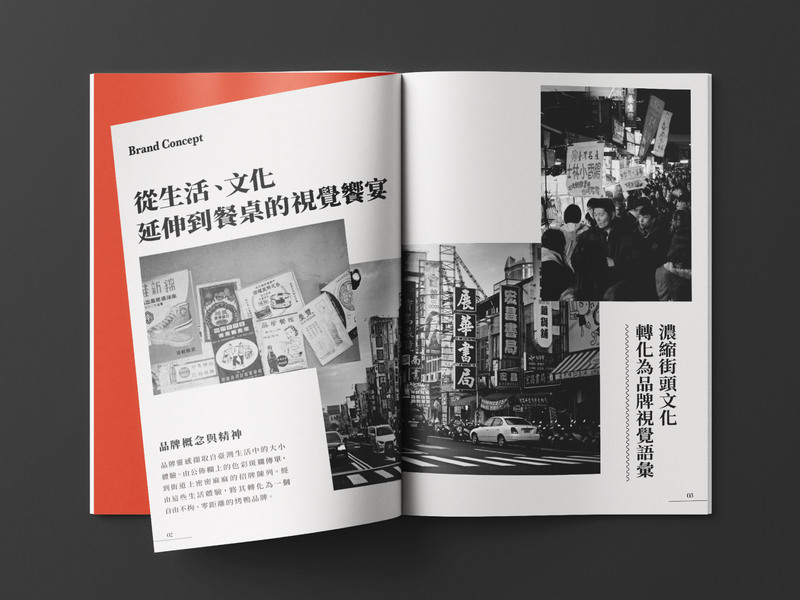 In order to strengthen the connection between brand and consumer, "Mr. Xiang" is created as a role of food radar, and the navigator of the most wonderful tastes.